Kevin Sheridan personally signs each copy purchased directly from his website. If you would like your copy addressed to you or another person, simply include instructions in the notes when checking out through PayPal. 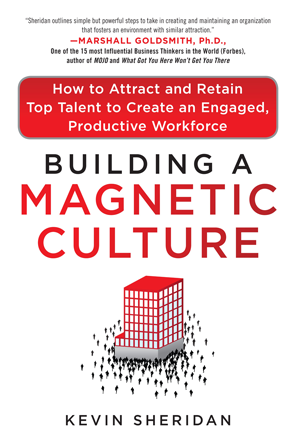 A New York Times and Wall Street Journal bestseller, Building a Magnetic Culture identifies the factors that engage and motivate employees and guides employers on how to create an environment in which employees can thrive. Drawing on years of research and real-world examples from his consulting experience, Sheridan gives you the strategies and tactics you need to transform your company by creating and sustaining a Magnetic Culture. It’s impossible for any company to have a monopoly on talent. But it is possible to have the best culture. Sheridan shares insights and best practices for creating an engaging culture where associates can grow and thrive. – Frits Van Paasschen, president and CEO, Starwood Hotels & Resorts Worldwide, Inc.
As more and more employees work from home, managers must learn how to adapt their leadership style to cater to remote employees. 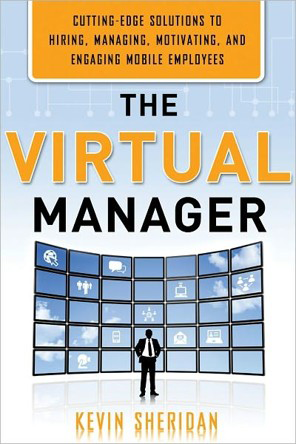 Based on years of research, The Virtual Manager illuminates how the Virtual Manager can build and sustain a highly-productive and motivated team from afar, leading to better business outcomes for the organization. The Virtual Manager is a useful guide to uncharted territory: how to manage people you can’t see while encouraging their self-sufficiency. Whether managing customer service reps or astronauts (the ultimate virtual workers) this book will help you master the new world of work.